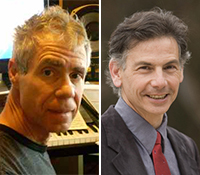 Faculty from San Diego State University (SDSU) and the University of California San Diego are the creators of a new opera that will be staged at UC San Diego as a showcase to launch the 2017-2018 season of the Qualcomm Institute’s performance series, the Initiative for Digital Exploration of Arts and Sciences (IDEAS). 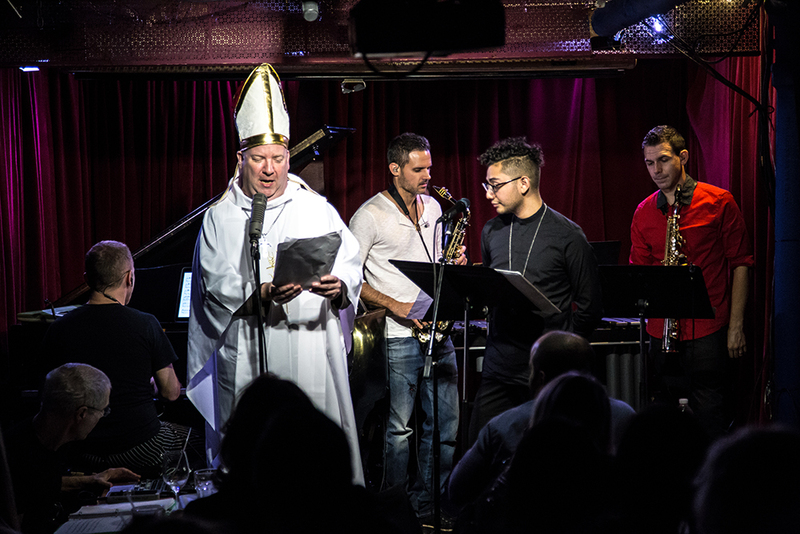 Some scenes from St. Francis de los Barrios were staged at Cornelia Street Cafe in New York City in early November. The admixture of musical styles highlight the timeliness of the themes that the opera touches upon, including immigration, religious tolerance, sexual identity, global threats, and the very nature of a multi-billion-dollar wall boondoggle. the sick, found housing for homeless families, and large images of the Virgin Mary form on the streetscape of any hovel occupied by Francis. Within weeks, his reputation as Saint Francis grows far beyond Mexico’s borders – so much so that his movement is perceived as a threat by Mexican authorities, drug cartels, and even border agents on both sides of the U.S.-Mexico border. In the Vatican, Pope Francis decides to visit the remarkable young man, triggering alarms in the two bordering nations, already on edge in the turbulent reign of Donald Trump. The internal complication for Saint Francis concerns his complex, past love relationship with Selina, a medico, or nurse, who gave birth to their child a year earlier, and Pedro, Francis’s long-time lover. Cast as a prophet by his followers, young Francis senses that the world will end in less than a generation, an end he’ll never see because he believes that he cannot live beyond the next few months. In an exchange with the visiting Pope, ‘street’ Francis convinces Pope Francis that the age is fast approaching its final horizon. Composer JOSEPH WATERS is Professor of Music and Coordinator of Composition Studies — Acoustic and Electro-Acoustic, and runs the Electronic Music Studio, the Digital Recording Facility, and the Computer Lab, all at San Diego State University. In addition to his activities as composer and teacher, Dr. Waters is Artistic Director of the New-West Electronic Arts & Music Organization (NWEAMO). NWEAMO organizes an annual international electro-acoustic music festival whose aim is to foster connections between the classical electro-acoustic, avant-garde community and the community of composers working at the experimental fringes of popular music. Professor Waters is a composer of acoustic, electro-acoustic and interdisciplinary works, and he belongs to the first generation of classical composers who grew up playing in rock bands. These roots coalesce in an expansive aesthetic trajectory that explores connections between European-African hybrid genres such as drum & bass, metal, hip-hop, salsa, reggae, be-bop, ragtime, etc., with older strains such as Euro-centric classical and Gypsy music. Librettist ALLAN HAVIS is a Professor on the Playwriting faculty in the Department of Theatre & Dance at UC San Diego. In collaboration with renowned composer and fellow UC San Diego faculty member, Anthony Davis, Havis’s play Lilith was re-imagined as a chamber opera, premiering as a concert recital at UC San Diego’s Conrad Prebys Concert Hall and staged at UC San Diego’s Qualcomm Institute/Calit2 in 2015. His second opera collaboration with Anthony Davis, Lear on the 2nd Floor, was showcased at Princeton’s Lewis Center for the Arts in 2012 and staged in 2013 at UC San Diego’s Conrad Prebys Music Center. Havis has had his plays produced at theatres across the country and in Europe, including San Diego Rep, Old Globe, Long Wharf, South Coast Rep, American Repertory Theatre, Hartford Stage, and many other venues. His works have been commissioned by England's Chichester Festival, Sundance, San Diego Rep, National Foundation for Jewish Culture, and other patrons. Professor Havis has had 19 full-length plays published, including Morocco, and his other works include the novel Albert the Astronomer, as well as a book on 90 years of cinema, Cult Films: Taboo & Transgression. His edited volumes include American Political Plays, and American Political Plays After 9/11. Director CYNTHIA STOKES is the Artistic Director of San Diego City Opera (www.sdcityopera.org), San Diego’s newest opera company. City Opera’s first production, Queen of Carthage, a contemporary retelling of Dido and Aeneas was part of La Jolla Playhouse’s Without Walls Festival in October 2015. Last spring she staged Dominic Argento’s song cycle The Andrée Expedition with three singers in an abandoned factory. An accomplished theatre director her work has been seen at American Conservatory Theatre, The Old Globe, The Piccolo Spoleto Festival, Wellfleet Harbor Actor’s Theatre, Diversionary Theatre and North Coast Rep. Ms. Stokes started La Jolla Playhouse’s Summer Conservatory and San Diego Opera’s Summer Opera Institute. Her grants and awards include: Opera America, The New York Foundation for the Arts, The Lotta Crabtree Foundation, and New Music Theatre Ensemble. She holds an M.FA. in Directing Robert Xavier Rodriguez La Curandera for San Antonio’s Alamo City Opera; The Italian Straw Hat for Amarillo Opera; Le nozze di Figaro for San Antonio Opera; Pagliacci for Opera San Jose. While at Glimmerglass Opera, she directed Le nozze di Figaro (cover cast) and staged members of The Young American Artists Program in Killer B’s, a cabaret-style celebration of American composers whose last names begin with the letter ‘B’; Roméo et Juliette for San Diego Opera; Madama Butterfly for Opera Company of Philadelphia; Homies and Popz (tour) for Los Angeles Opera; Margaret Garner for Cincinnati Opera and Opera Carolina. An accomplished theatre director, Stokes' work has been seen at American Conservatory Theatre, The Old Globe, The Piccolo Spoleto Festival, Wellfleet Harbor Actor’s Theatre, Diversionary Theatre and North Coast Rep. Deeply committed to encouraging the next generation of theatre and music artists and audiences, Ms. Stokes started La Jolla Playhouse’s Summer Conservatory and San Diego Opera’s Summer Opera Institute. 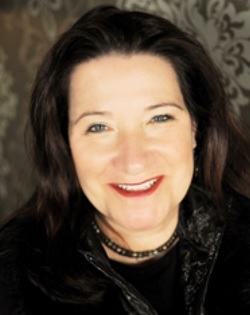 Her grants and awards include: Opera America, The New York Foundation for the Arts, The Lotta Crabtree Foundation, and New Music Theatre Ensemble. After the the showcase performance, food and beverages will be served for those in attendance.